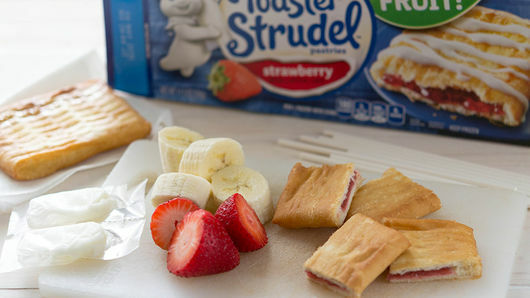 Toast 6 Pillsbury™ Toaster Strudel™ pastries as directed on box. Reserve icing. Cut each pastry into quarters. 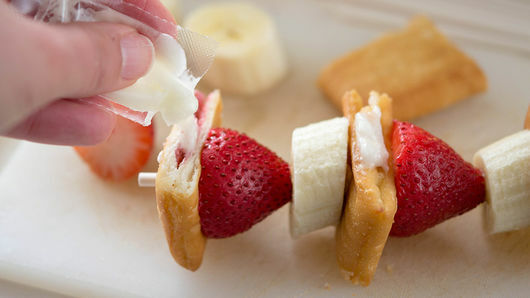 On each of 6 to 8 lollipop sticks or round wooden sticks, place 3 or 4 pastry pieces, alternating pastry with fresh fruit. If desired, drizzle icing over kabobs. Serve immediately. Use your favorite fruits such as berries, bananas, apples, orange segments. Pick what your kids like! 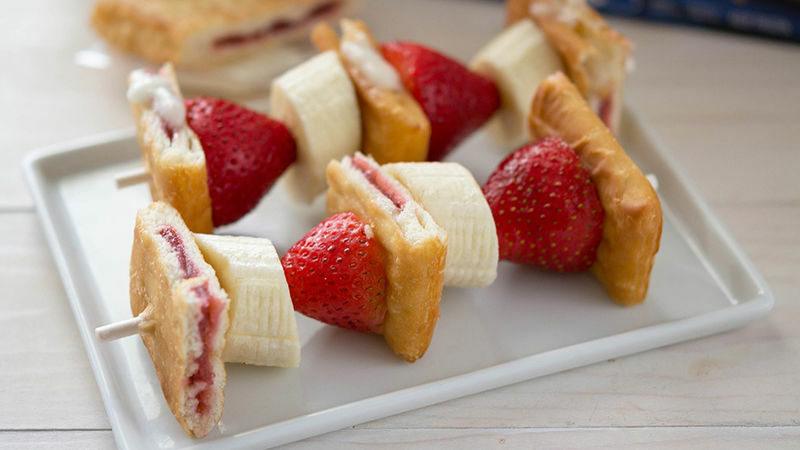 These aren’t just a great breakfast; they’re great for party treats, too!